Paula J. Peters is currently a M.F.A. candidate in Dance at the University of Washington. Prior to completing her B.F.A. 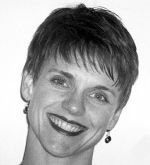 in Dance through the Professional Dancers Program at Cornish College of the Arts, Ms. Peters performed professionally with Spectrum Dance Theater in Seattle, Washington for fourteen years; dancing and staging works by choreographers of national prominence. She has taught ballet, jazz and modern dance as a visiting lecturer at the University of Washington and as an adjunct instructor at Cornish College of the Arts. Ms. Peters’ M.F.A. thesis, “All That Jazz: Forces and Figures in the American Popular Entertainment Industry,” investigates the deep contributions that African American dancers/choreographers have made to the American popular entertainment industry.